Approximately 30% of websites SEO effectiveness can be attributed to on-page factors. This is an important aspect of your internet marketing efforts. Most search engines need to be satisfied that the website is relevant for a particular search term and much of this determination is based on items discussed in this article. If you read the last segment in our search engine optimization series you learned how to read statistics about your websites performance. Statistics are great, especially to nerds like me, but now it’s time to get down to business. In our last segment, we ended with a discouraging point. Keywords are vital, but they are not an end-all to good search engine optimization. Without good SEO, a website is banished to the far reaches of the internet where sane men seldom travel. In this segment we will discuss some of the quick actions that you can perform to start getting your website visibility. Professional Search Engine Optimization (SEO) services are offered by many companies. You may see these services offered as management plans, directory submissions, white or black hat (bad). This may have you wondering what you really need for your website and how to perform your own SEO. This series will attempt to answer some of these questions by providing relevant articles and resources about SEO services. 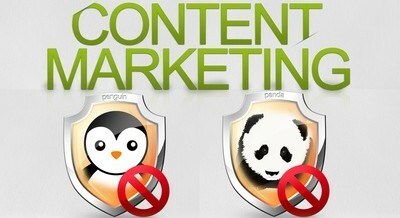 Google Panda, Penguin and Skunk? The names Google gives to its updates invoke feelings of adoration, maybe even cuddliness. But we wonder what the updates are really about. On the one hand it seems Google is pushing its Plus social platform, on the other defending its share of the internet marketing arena. Does anyone smell a skunk?